Another milestone happened last Monday for LeRuof, my firstborn. He is back to school! As a second-grader. I watched my husband walk my son to the bus stop. 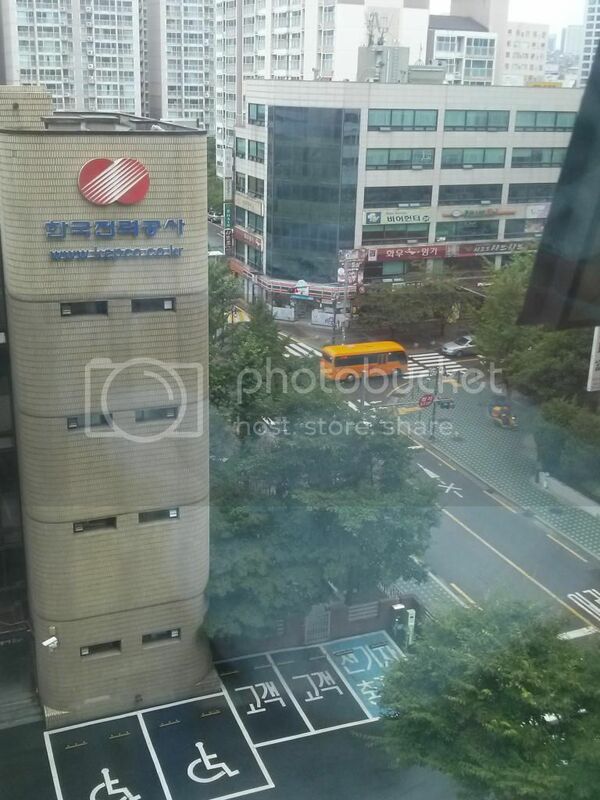 And there goes the Dwight School Seoul school bus ready to bring the kids for their first day at school for 2014 – 2015. This veranda window will see through the 4 seasons of this school year:-).